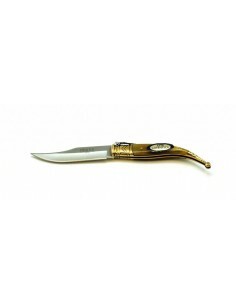 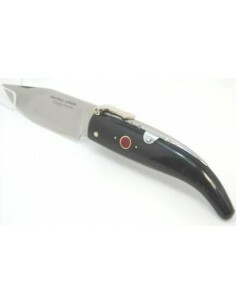 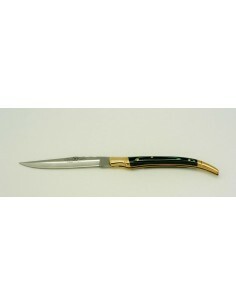 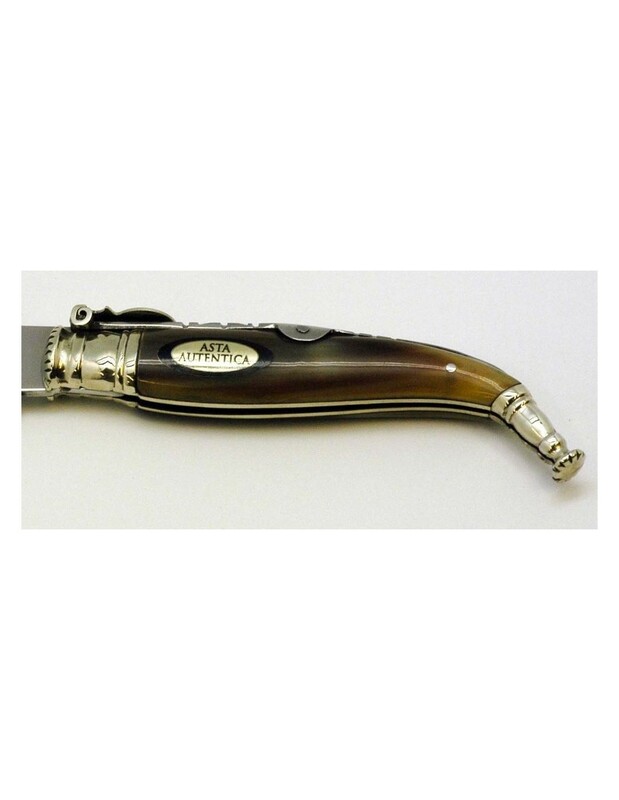 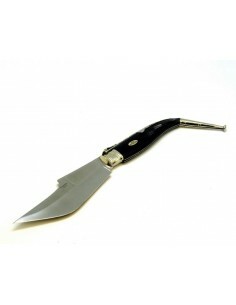 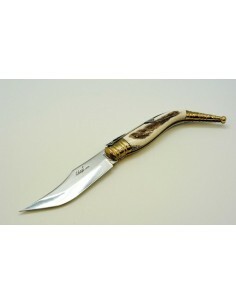 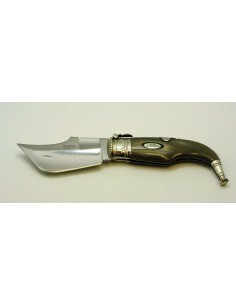 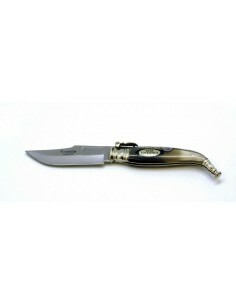 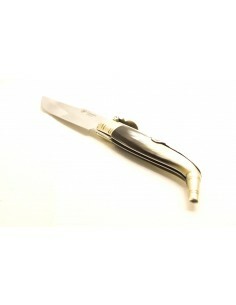 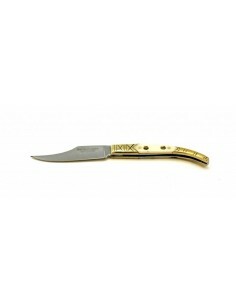 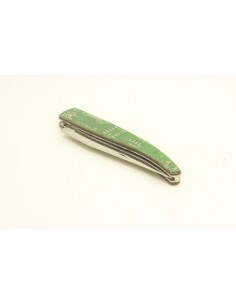 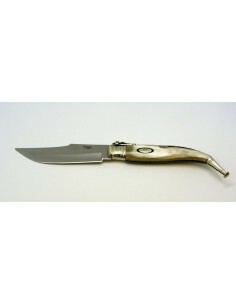 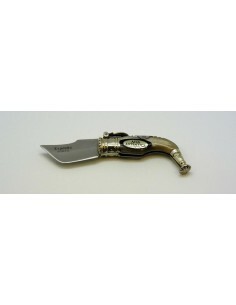 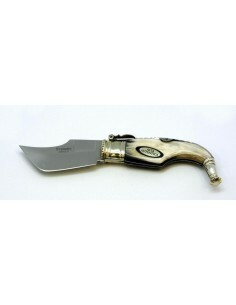 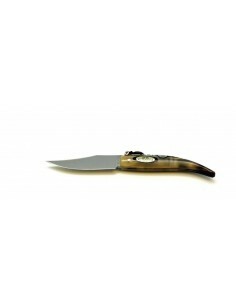 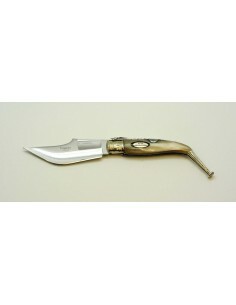 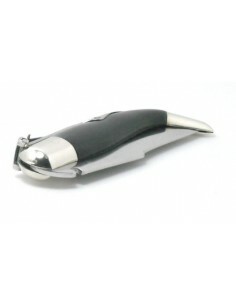 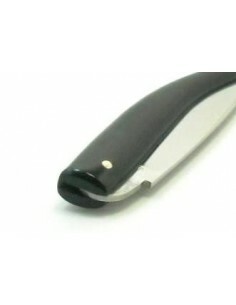 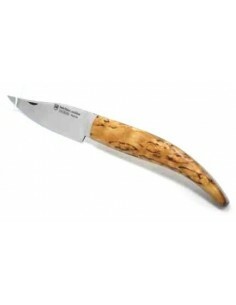 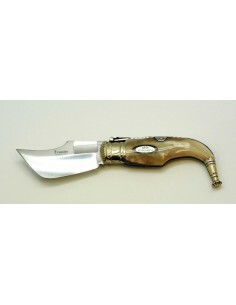 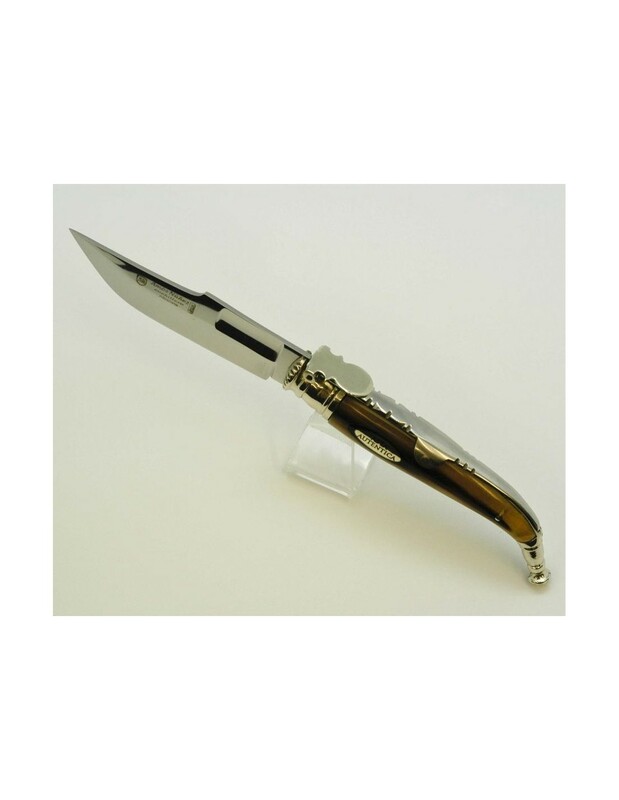 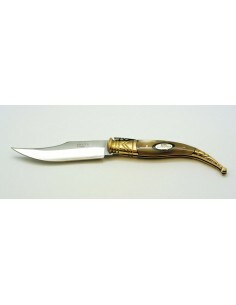 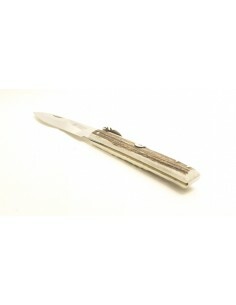 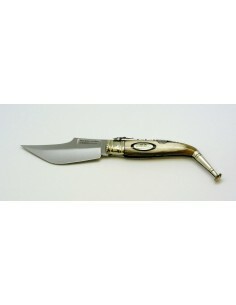 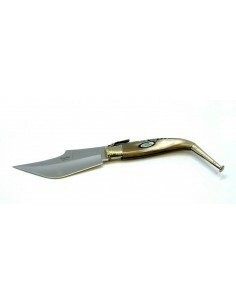 Handcrafted Albacete typical folding knife. 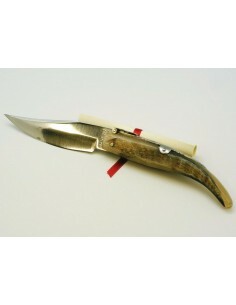 With bolsters, surrounded pull and inner parts of the grip made of alpaca. 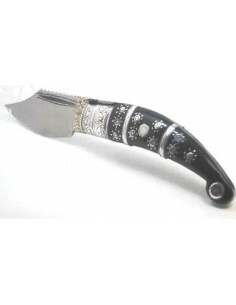 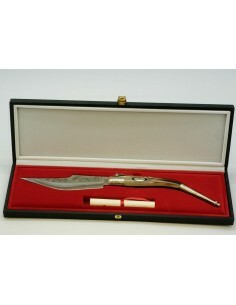 Hollowed blade and decorated teja spring. 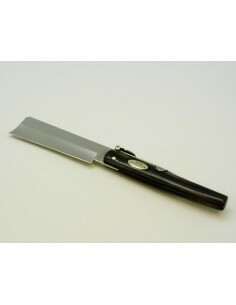 1,75 mm thickness.